We’d love your help. Let us know what’s wrong with this preview of Blog by Riley Reive. Are you looking for a way to gain independence and work doing what you like the most? 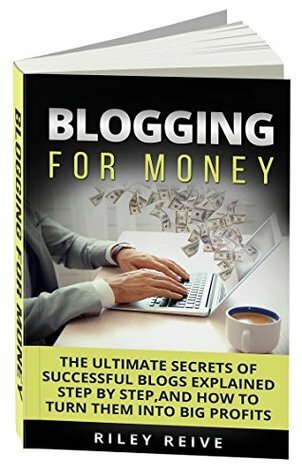 This book is for every person who wants to start a blog with the right steps to make money from it, as well as for people who want to get more concrete ideas to increase their profits from their blogs. To ask other readers questions about Blog, please sign up. This was a little more technical than I expected but I am grateful for the information. It was easy to read and fairly easy to understand the techy stuff. I will definitely keep this in my library and use it as a reference. Very easy to read , complex issues described simply . I would recommend that more than one platform is covered.